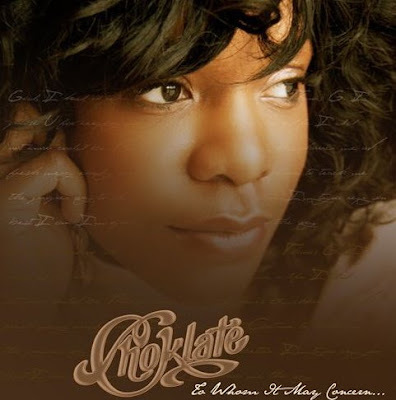 News of Choklate's sophomore album entitled To Whom It May Concern drops on May 19, 2009. You can look forward to production on this release from Vitamin D, Jake One, and Donyea Goodman. A brand new website and MySpace page is in the works as well. Check the track listing below as well as snippets of the new music at http://www.choklatemusic.com/ and www.myspace.com/listen2chok.